Standing as one of London’s most iconic hotel experiences, Courthouse Hotel Shoreditch has become East London’s festive haven for cosying up for some Christmas spirit. 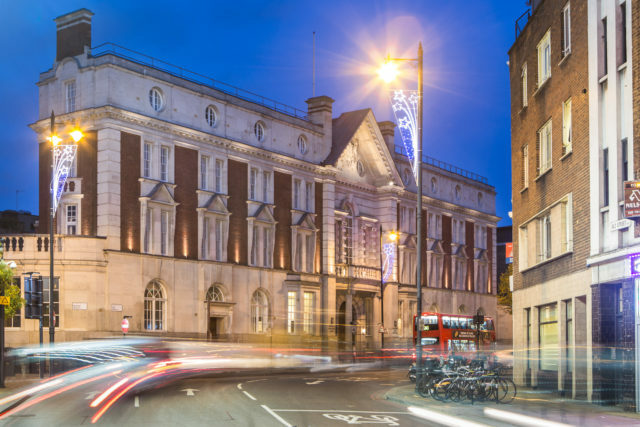 It is one of the most luxurious hotels to have opened in our area having been developed inside the historic old Shoreditch Magistrates Court and Police Station on Old Street, a baroque style Grade II listed building opposite Shoreditch Town Hall, . Its public rooms are themed around the old courthouse. Softly lit, elegant and welcoming, the hotel offers the perfect stop to escape the cold of the season and enjoy the luscious surroundings with their new offering; a decadent Afternoon Tea complimented with the warming spice of freshly-mulled wine, available exclusively this December. A platter of artisan delights including the Hummus & roasted pepper sandwiches and Smoked babaganoush on pumpernickel bread accompany sweet Fruit Sultana Scones with Raspberry Jam and Clotted Cream. Selected pastries such as the Red velvet cake with vanilla frosting and Chocolate & orange tart provide the perfect antidote to the blustery December days. Paired with the unmistakeable fragrance of steaming Mulled wine, the Courthouse Hotel Shoreditch is putting you at the top of Santa’s Good List with this exquisite seasonal indulgence. Perfect for whiling away the chill grey days, Courthouse Hotel Shoreditch provides the last word in sumptuous luxury, premium hospitality and the very best in London leisure this Christmas. This special afternoon tea experience is priced at £25pp, available now. Call 020 3310 5555 to book.